My sincere sympathies and blessings to all participating in Rainbow Bridge Remembrance Day 2017. I founded Rainbow Bridge Remembrance Day (RBRD) in 2015 in honor of Mr. Jazz, my beautiful Ragdoll cat who I had to help cross to the bridge on August 28, 2013. l already knew losing a pet wasn’t easy. I’ve had to say goodbye countless times in my life – dogs, cats, fish, rabbits, guinea pigs and more – each loss leaving a hole in my heart and a void in my life. 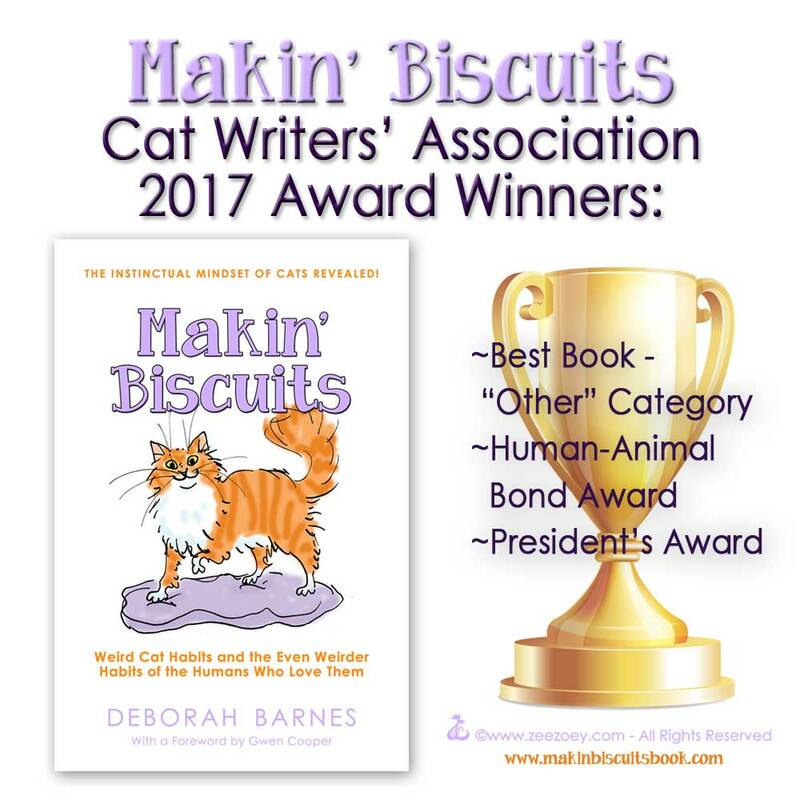 But after sharing my experience of losing Jazz and writing his story in the book Purr Prints of the Heart – A Cat’s Tale of Life, Death, and Beyond, I came to a global understanding of just how many people had loved and lost a pet, all going through similar feelings of sadness, anger, loneliness, guilt, denial, depression, etc. that I had. My muse and soul-mate kitty, Mr. Jazz. May he forever remain at peace. I also came to the realization that many people needed a positive and nurturing outlet to talk about their loss and that’s why I created the day. 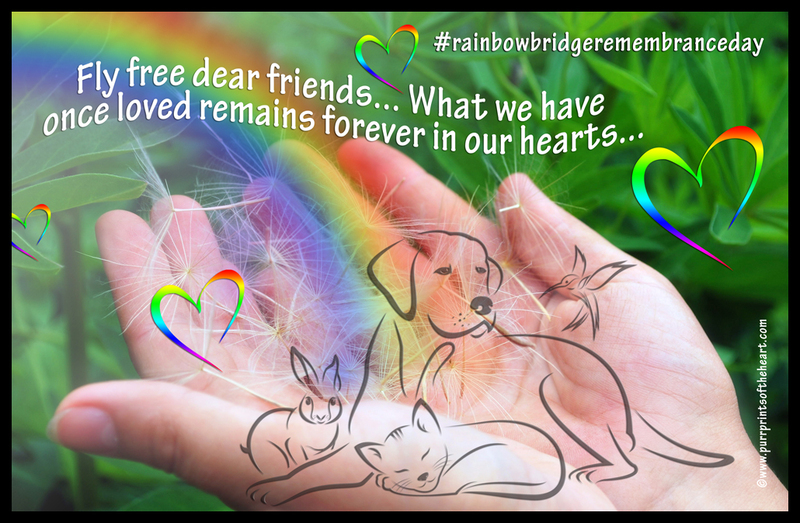 I wanted a vehicle for people to honor the memory of their pet(s) in any way that felt most comfortable to them – such as by posting a picture, writing a poem, or sharing a video – and the concept of the Rainbow Bridge seemed to have a nearly universal understanding and draw. Do I actually know if a Rainbow Bridge exists – that “other worldly” place of a lush green meadow where the pet is freed from illness and injuries upon arriving, happy to play in sun-filled days until they are eventually reunited with their owner when their owner passes, to then enter Heaven together? Of course not. But honestly, that’s not the point to me. What matters is the concept of the Rainbow Bridge. We as people are mired in the need for tradition, symbolism, ritual, and ceremony, for if we don’t have something to grasp onto, letting go would be completely unbearable. Symbolism and ritual is vital to processing grief and that’s why we do things such as bury the pet in a special spot in the yard, or plant a tree in the memory of the pet, or create a special scrapbook, decorate an urn if the pet was cremated, have a paw print cast into cement, or many other things. These are tangible acts that help us keep the memory of the pet closer to our heart, allowing us to manage the pain and pay respect to the pet. 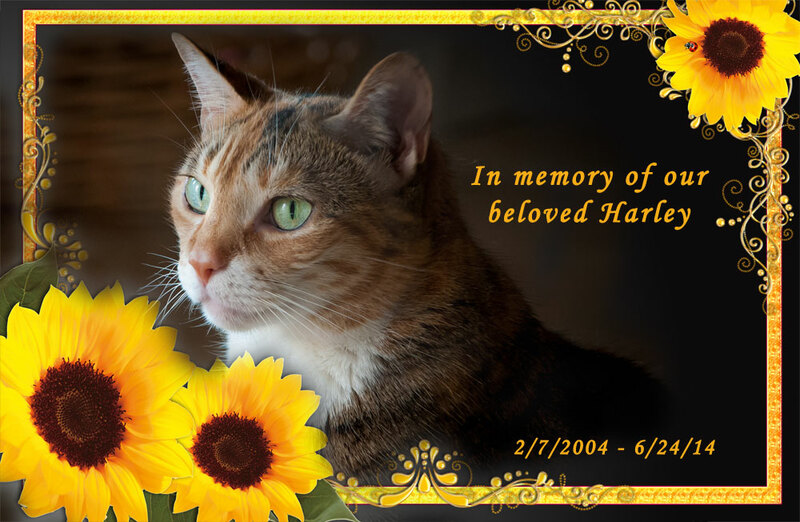 Another way to memorialize the pet is through keepsake items, such as cards, jewelry, picture frames, key chains, chimes, and more. For RBRD this year, I wanted to do something special so I put together a beautiful collection of giveaway items from several companies that specialize in memorial gifts. 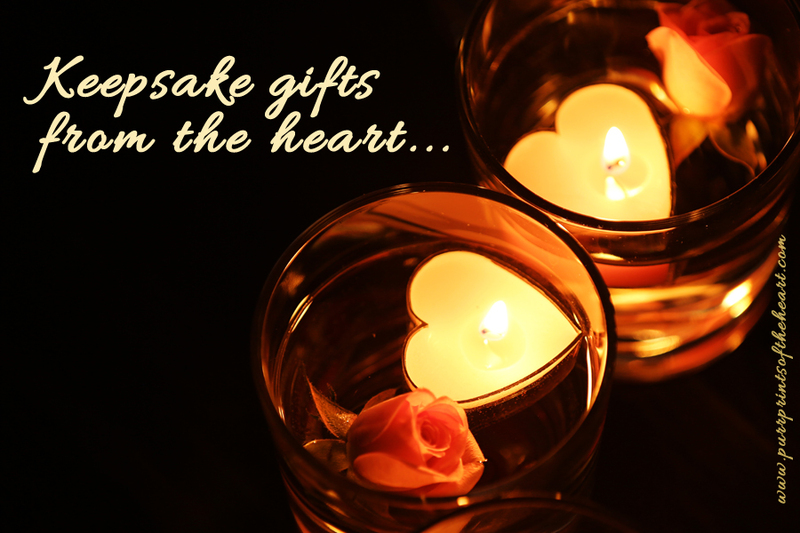 Not only are they a special way for someone to forever preserve the memory of the pet, they are also a way for others to express condolences, because pet loss is not only difficult for the person (or people) who lost the pet, it can also be difficult for friends, family members, and co-workers who are acquainted with the person who lost the pet. Death can be a very delicate and awkward subject to broach, especially when it comes to animals, so often these people are at a loss as to how best convey feelings of sympathy, and a keepsake gift can often be the kindest approach. First up is My Flowers Forever/Bellabeads. 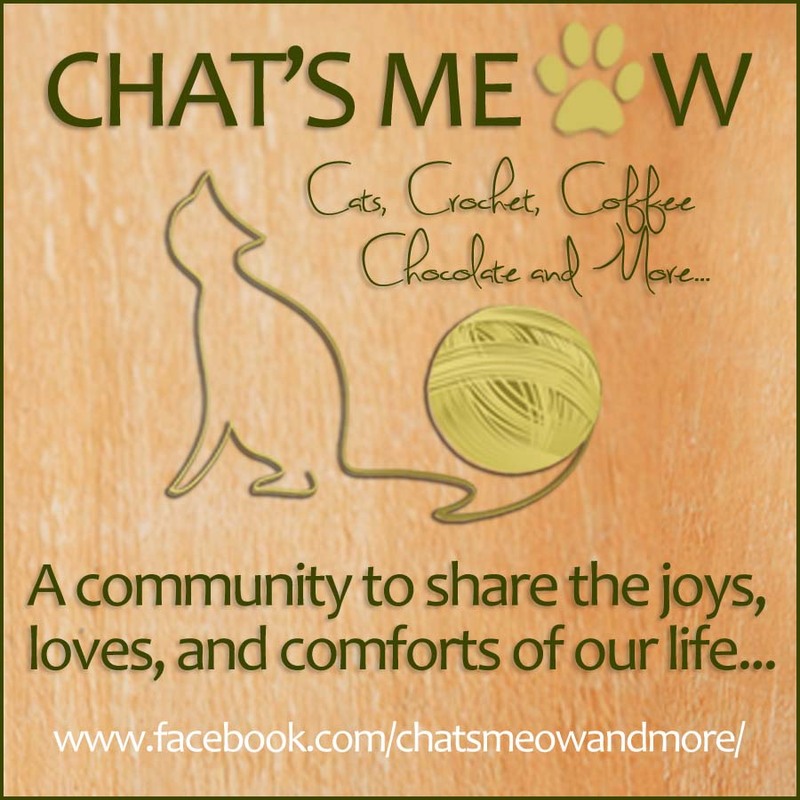 I was introduced to them while visiting Cat Chat with Caren and Cody’s blog and I was instantly drawn to the simple beauty of the pet memorial jewelry pieces she was featuring. Necklaces, bracelets, and rings are individually crafted in honor of the passed pet, incorporating custom-created beads into the design per the input/and or materials of the pet guardian. Beads can be created from fresh or dried flower petals sent by the guardian, and if the pet was cremated, ashes can also be sent to add to the flower petals. Cat Chat was featuring a giveaway from Bellabeads and I happened to be the winning recipient of a Double Ring Necklace Pendant. 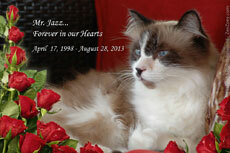 I chose to memorialize Jazz, but since he’s been gone for several years and I didn’t have any special flower petals that defined our relationship, nor did I feel comfortable opening his ashes, I sent a picture of him to Cristina Segarra, owner of Bellabeads, asking her to create a bead in his beautiful cream, brown, and chocolate tones. When I received the package a couple weeks later, I cried when I opened the elegantly presented box. Inside was a dainty and exquisite necklace with a bead as every bit as gorgeous as my Jazz. While you can’t see the necklace in full detail, my custom-created Bellabead for Jazz is gorgeous and I wear it all the time. It helps me feel connected to him and I will always cherish it. 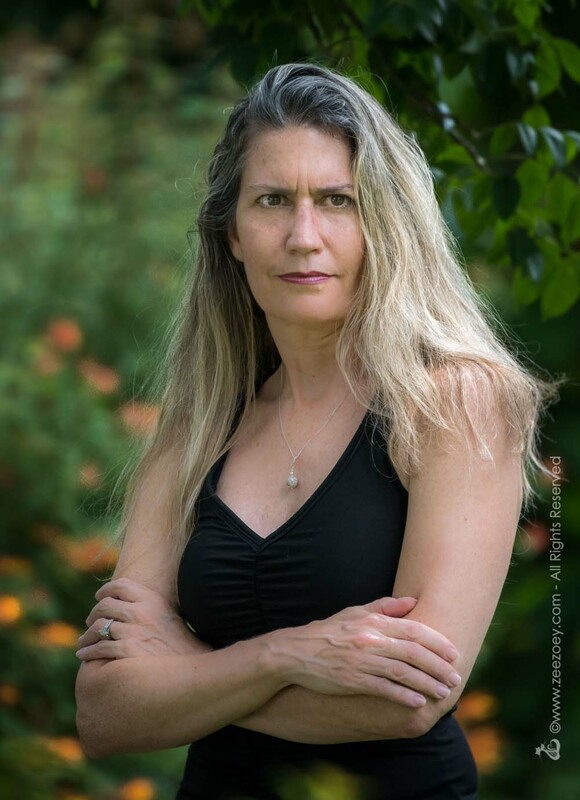 Christina began Flowers Forever in 1994 and the business flourished into what it is today – a fully-staffed memorial jewelry and flower preservation business. The memorial aspect was inspired after Christina’s sister came to her with the ashes of her dog, Hunter, asking for a piece of jewelry to be designed. Christina has kindly offered to give away one personalized Bianca Heart Pendant. This gorgeous piece of jewelry retails for $79.95 and comes with a 12 mm handmade Bellabead, a sterling silver open heart, and a personalized, hand-stamped charm. As with my necklace, she will custom design the bead to the request of the winner. 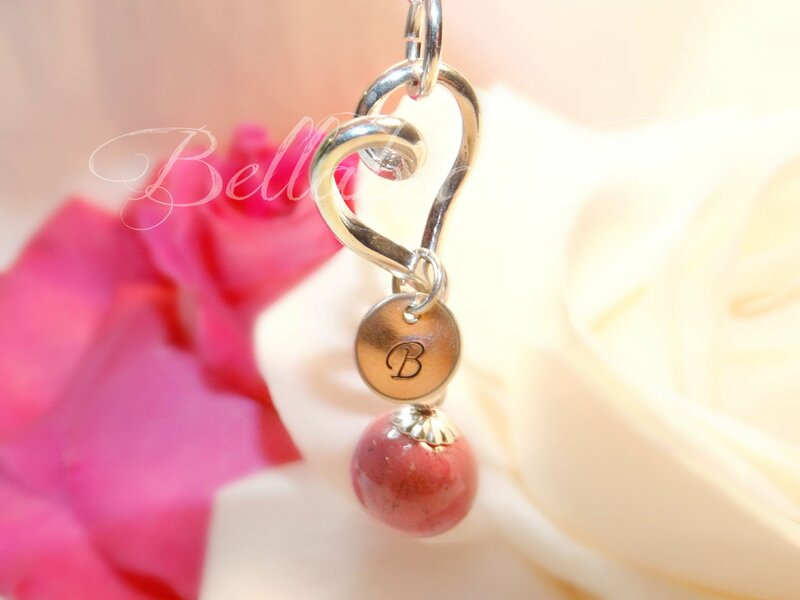 The Bianca Heart Pendant – photo courtesy of My Flowers Forever/Bellabeads. Next up is the beautiful, old-soul, kindred-spirit jewelry and keepsakes from Auntie Angel Designs (Kindred Spirits Gift Shop). 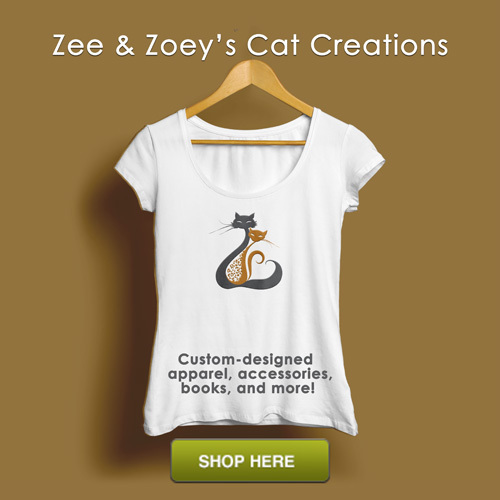 I was on Etsy, looking for pet memorial items and was quickly drawn to the charming pieces Auntie Angel was featuring. I especially fell in love with her Rainbow Bridge Pet Sympathy Bracelet, finding the pretty colored beads and filigree elements soothing to the eye. I also loved that each bracelet is custom made and includes a stamped charm with the name of the pet. 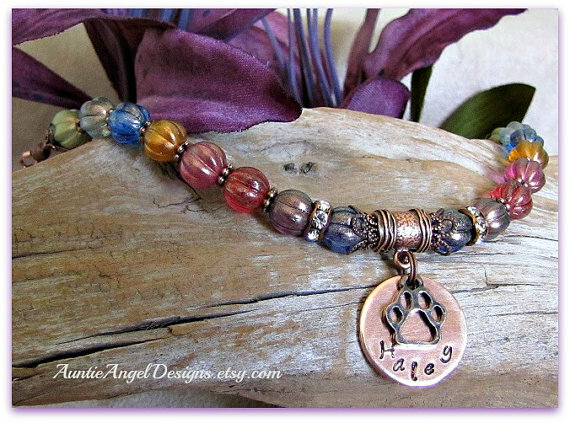 The Rainbow Bridge Pet Sympathy Bracelet – photo courtesy of Auntie Angel Designs. 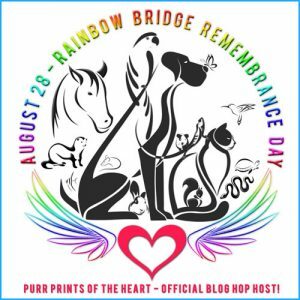 Auntie Angel designs are created by Jean Brudd and were inspired by her beautiful black German Shepherd, Casey, who went to the Rainbow Bridge on September 5, 2013. Casey was with Jean for over 12 years and was her soul mate and guardian dog who “supervised” all her jewelry making. Jean has graciously donated a Rainbow Bridge Pet Sympathy bracelet to one lucky winner and this stunning piece of jewelry includes a beaded bracelet along with an antiqued copper open paw print charm with the pet’s name, a keepsake Rainbow Bridge-themed memorial card, and gift box. The bracelet retails for $42.50 and comes in several sizes. The last giveaway is so unique I wasn’t able to feature a particular product, but rather a gift-certificate of $125.00 the winner can use any way they chose in her shop. 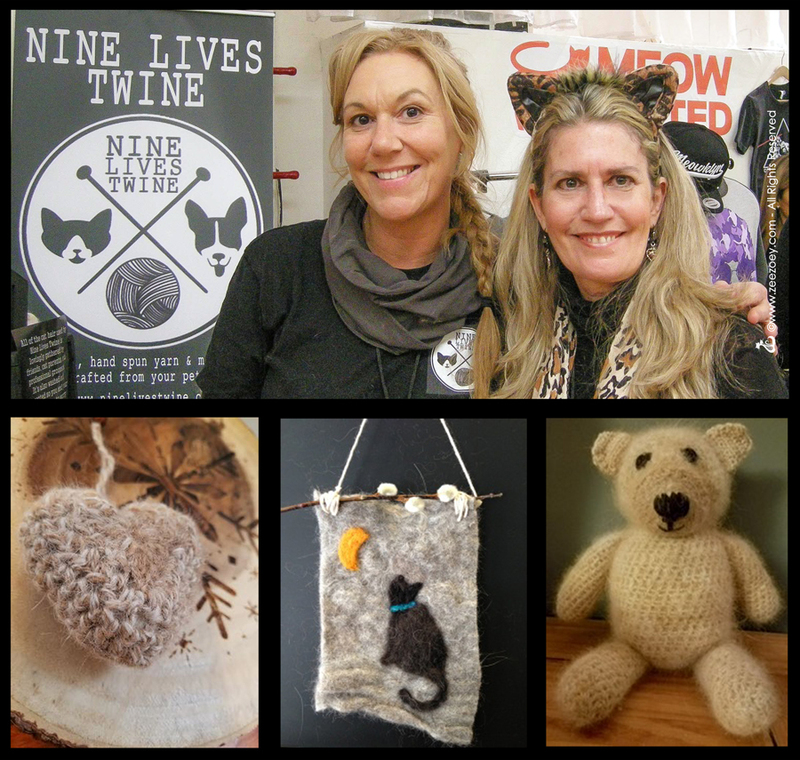 The company, called Nine Lives Twine, was founded by fiber-artist, Theresa Furrer, and she creates hand spun yarn memorials and other items from pet hair. I had the pleasure of meeting Theresa at Camp Cat NYC this past March and quickly felt a spiritual bond with her. Soft-spoken and kind, Theresa is an animal lover of all kinds, and while she has 3 cats – Lupe, Fergus, and Poppy – and the name of her company has a cat connection – she’s a fiber artist of any pet hair, including cat, dog, rabbit and horse. I met Theresa at Cat Camp where she was exhibiting some of her hand spun items, including heart ornaments, kitty wall-hangings, and stuffed animals. Theresa spins the hair into yarn and makes things such as blankets, scarves, toys, gloves, hats, cat hair toys, ornaments, stuffed animals, felted wall hangings, decorative pins, and more. It’s an extremely personal way to memorialize your pet, but because most of us probably don’t think in terms of anticipating the day our pet dies, we wouldn’t be collecting pet hair in advance (although, if you are able to find even a small amount of hair, she’s able to create a ball of yarn by blending it with her supply of fiber). But honestly, as with all the giveaways I’m offering, I don’t think you have to wait for a pet to pass in order to honor them. Maybe these businesses will inspire you to want to have a piece of jewelry or something else created to celebrate the pet(s) living with you right now. Entering the giveaway is simple – just use the entry form at the end of the post. You will need to leave a comment about your Rainbow Bridge pet(s) and there will be other opportunities to enter by visiting the social media pages of the participating companies. The winners will be randomly drawn by PromoSimple.com and the giveaway is open to anyone, worldwide to win. The winners will be drawn in the order of each item presented: 1. Bianca Necklace; 2. Rainbow Bridge Bracelet; and, 3. Nine Lives Twine Gift Certificate. The contest begins at 12:00 a.m, EST, on Monday, August 28 and will end on Monday, September 4 at 12:00 midnight, EST. The winners will be announced on Wednesday, September 6. Please be sure to include your email address when filling out the comment form so if you win you can easily be contacted. If the winner does not respond to initial email within a few days, a follow-up attempt will be made. If there is still no response, an alternate winner will be drawn. I would also like to share another site I’ve become familiar with called Grief and Sympathy. 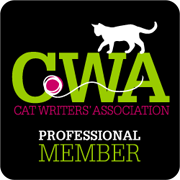 I had the pleasure of working with the founder, Lesley Postle, writing an article for her on how to help young children deal with the loss of a pet cat. 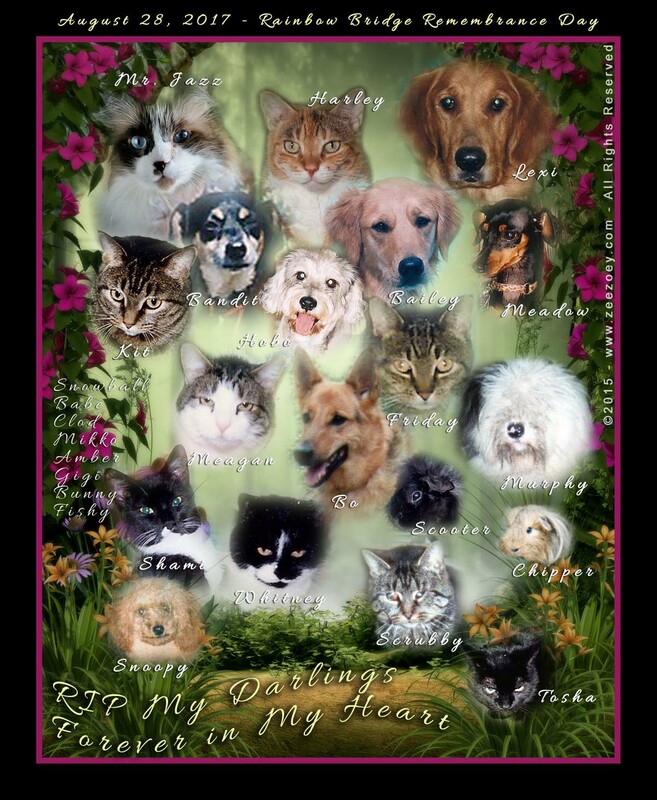 Her website offers lots of insight, articles, and resources for those needing help with the grieving process and she also carries a wide variety of pet sympathy cards and links to beautiful keepsake items, such as handmade jewelry and picture frames. Lastly, for those of you either looking for a personal way to help someone through the grieving process, or if you need help yourself with grieving, please consider reading the book that started it all for me: Purr Prints of the Heart – A Cat’s Tale of Life, Death, and Beyond. While clinical, self-help books on grieving serve a great purpose, sometimes a true-life experience that someone can directly relate to is the best way to help a person process their feelings, so they don’t feel so alone in the complex range of emotions they are experiencing. 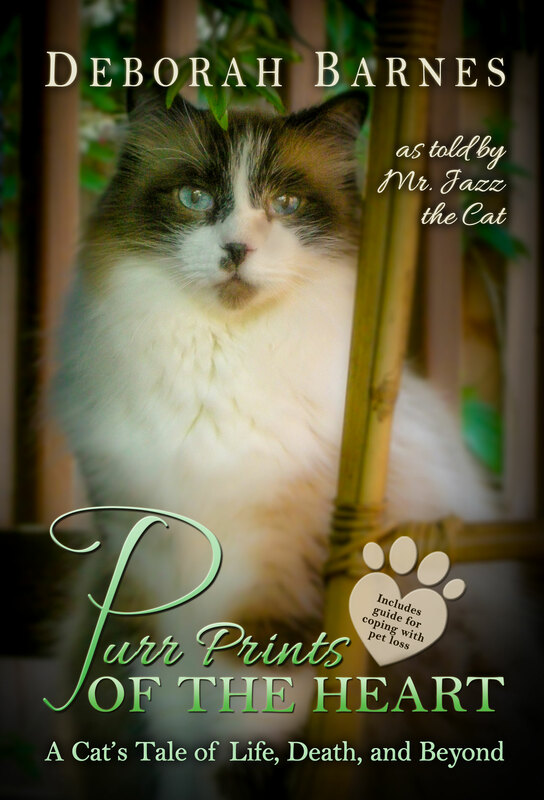 Purr Prints is a warm, spirited, and poignant tale written in the meow voice of Mr. Jazz that has touched the hearts of those who have read it. 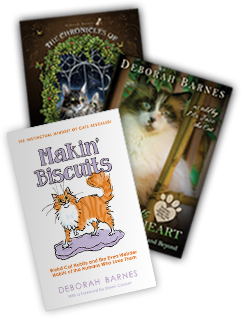 Please visit our books page for information on how to order the book, including options for personalization for those who would like the book autographed in tribute to a lost pet. 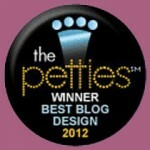 Editor’s note – we were not compensated for any of the products featured in this post. 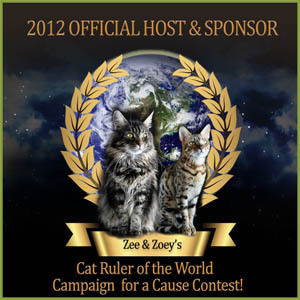 All opinions expressed are those of Zee & Zoey’s Cat Chronicles with the sole intention of providing our readers with information on what we consider beautiful keepsake items. We are grateful to those that donated giveaway pieces and thank them for their participation on this very special day. If you care to share socially, we have a special event page set up on Facebook here and recommend you use the hashtag #rainbowbridgeremembranceday when posting. 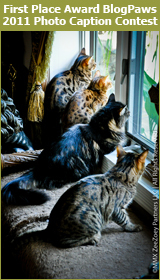 Thank you from Purr Prints of the Heart for participating in our annual blog hop. My cat Stephan passed May 5th. It was so bad. He let out a howl and was gone. Ill never forget that noise. He was only 14 years old but he had a heart murmur. So the vet thinks it was a heart attack. His sister still cries for him. We both are still upset at his passing and it will take a long time to heal. Thank for this remembrance day. I had to help my best friend and soulmate Stig to the Rainbow Bridge 10 months ago today. He was a perfect and beautiful tabby boy who was my companion for 8 short years. His loss was devastating; I miss him every day. I look forward to reading your book, which I hope will be helpful. But for now my thoughts and my heart are with my sweet little buddy. I love you Stig. Great posty and give aways. 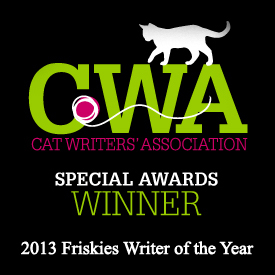 We will never furget the luv of da furries that came befur us. We’re sendin’ hugs and purrs. I too know how hard it is to lose our fur pets, but to me they are like a child. They LOVE UNCONDITIONALLY no matter what. You don’t have to meet a certain expectation for them , they LOVE you as you are. It is so hard when anyone loses a pet. It seems like a little piece of our heart is missing. No matter how many pets we have, the hole in our hearts are never filled. Thanks for hosting this remembrance, Deb. As usual I’m late with a busy time of year, so thanks for extending the time we can join. There are many ways to lose pets, be it your own, or fosters, or others’ who are ill or lost. Each one is special, and each one is to be celebrated. 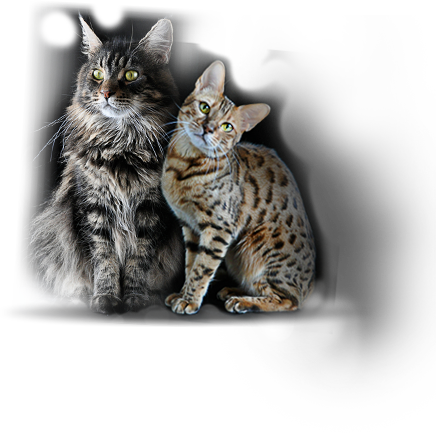 I have taken care of cat colonies for close to 30 years now… in that time I have lost many. But I will tell you about the inspiration behind it…. When we first moved into our home a very long time ago, our cat Tan’na would look out the window. He had a kind and gentle soul. He would meow while on the porch and anywhere else he would see other cats. There were so very many roaming about. I think he knew I fed them, but not a whole lot more. One day in the winter, Tan’na was meowing like crazy out the window. There was a Momma cat and kittens in tow trudging through the snow. You could barely see the little tails as they followed a very thin Momma. Because of Tan’na I decided to catc her, and brought her in and put her and the babies in a very large dog crate. The kittens were socialized, and found homes, Momma was fixed and returned outside since she really was a true feral. So started the TNR odyssey. We have went from a colony of well over 35, to now a colony of 5. It had been 3 until a few weeks ago when someone threw out a housecat and last week a kitten half starved that is about 9 weeks old. Our ‘old man’ outside is 18 who has been with us all these years. So you see there are many that would be Rainbow cats. They all have names since every cat needs a name. But for my special rainbow cat it would be my beloved meezer Tan’na, the inspiration, my muse, who taught me to look out the window, and do something to help . Doing this has cost many tears, much financial hardships, but I wouldnt trade it for the world. Your book I Noticed has a saying I always use, that they all leave pawprints on your heart………… they certainly do. My Tan’na left a huge pawprint and to this day all of my screen names involve him ( tannawings since he earned his wings some time ago) I still miss my gentle meezer but the purrs from others help to remind me he still purrs and is waiting. Now I dont even care about the contest although it would be nice. I have been taught too by this experience of TNR that few material things matter. You made me think of my sweet an’na, and the many others who have left those prints and for that I thank you. It is a sad but sweet memory one I cherish.